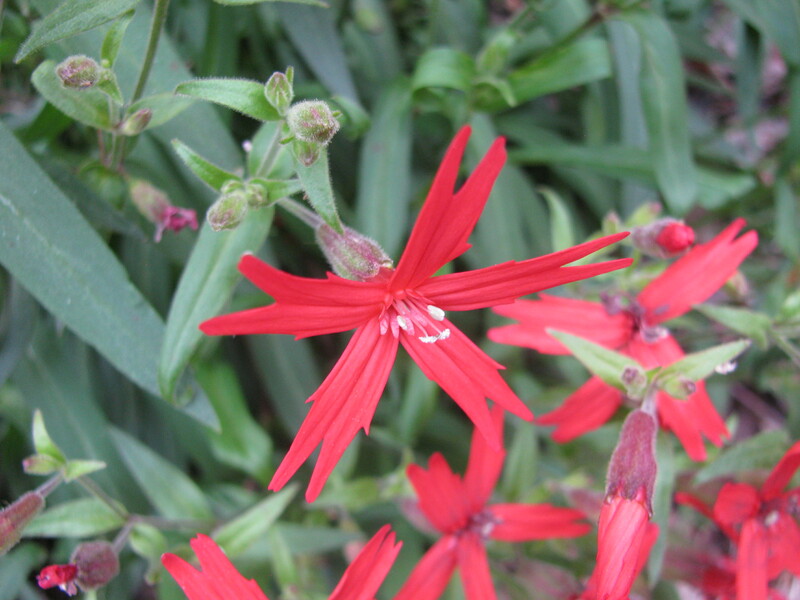 Another beautiful species from the Smoky Mountains is the fire pink or Silene virginica var. virginica. The bright flowers are very easy to see, even if you are driving along in a car (as we were when we first saw them)! This species is in the carnation family or the Caryophyllaceae. This widespread family is know for its ornamental species but there are a few that are considered weedy or even invasive. One characteristic of the Caryophyllaceae is the swollen nodes of the stem, where the opposite leaves meet the stem. If you have even seen the stem of a carnation, you know what I mean! While fire pink’s flowers aren’t pink, many species in the Caryophyllaceae do have pink flowers. But that isn’t where the name ‘pink’ comes from. The name actually comes from the verb ‘to pink’, which means to decorate with a perforated pattern. Most species in the Caryophyllaceae have notches in their petals like they have been pinked, and some have such deep notches that it seems like the petal is cut in half! Plants in the genus Silene are called ‘catchflies’, as these plants have trichomes or tiny sticky hairs. The fuzziness and stickiness (defensive compounds) of the trichomes discourages pests from eating the plant. There are even trichomes on the surface of the flowers to prevent ants and other insects from stealing the nectar and not pollinating the flower (Illinois Wildflowers: Fire Pink). 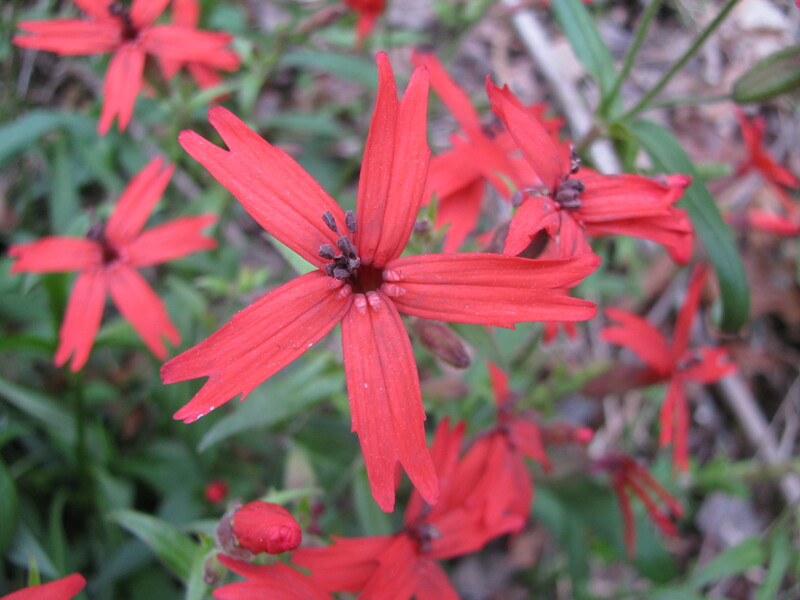 The specific epithet virginica means ‘of Virginia’, as this plant is found throughout the Eastern US including Virginia (Missouri Botanical Garden: Silene virginica). The variety, var. virginica, is much smaller than the other variety from Tennessee, var. robusta (University of Tennessee Knoxville Herbarium: Silene). 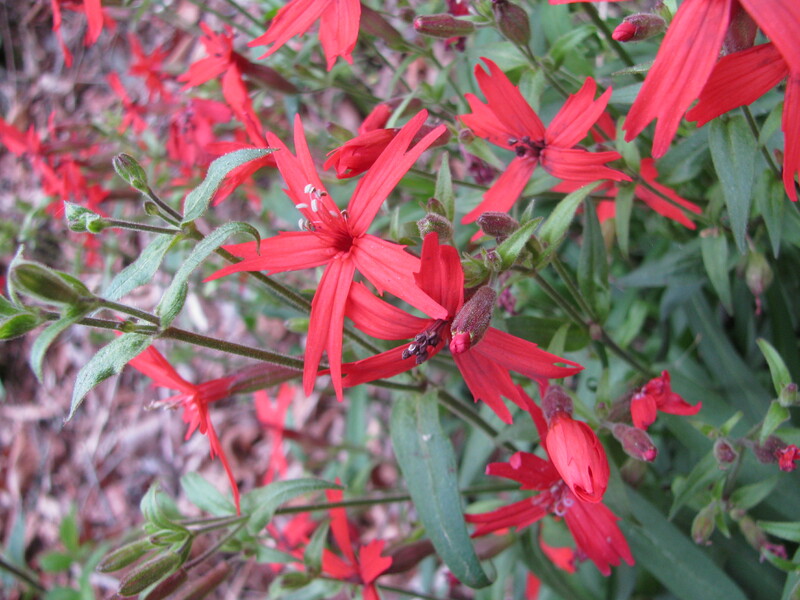 Fire pink can be a perennial but only lives for a few years. It does reseed itself readily. 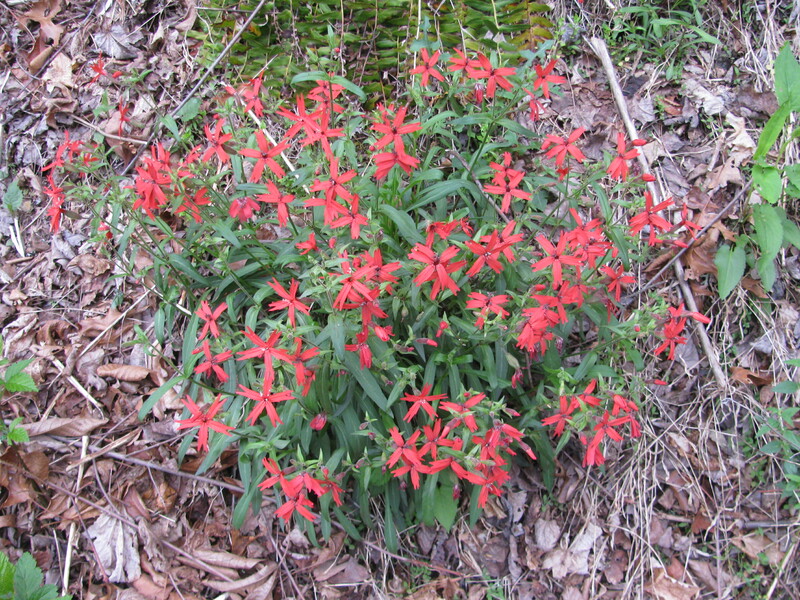 The bright red flowers are pollinated by butterflies and hummingbirds, which are attracted to red flowers (Missouri Botanical Garden: Silene virginica).